Snowpocalypse 2015 is upon us and since you've been watching Netflix for the past nine days (admit it), take a moment to hear exciting news about the music! Congratulations, you survived Snowpocalypse 2015! The last month has held a plethora of unique and meaningful experiences with the music, which I will go into in a moment. First of all, if you missed the last newsletter, you can check it out here. 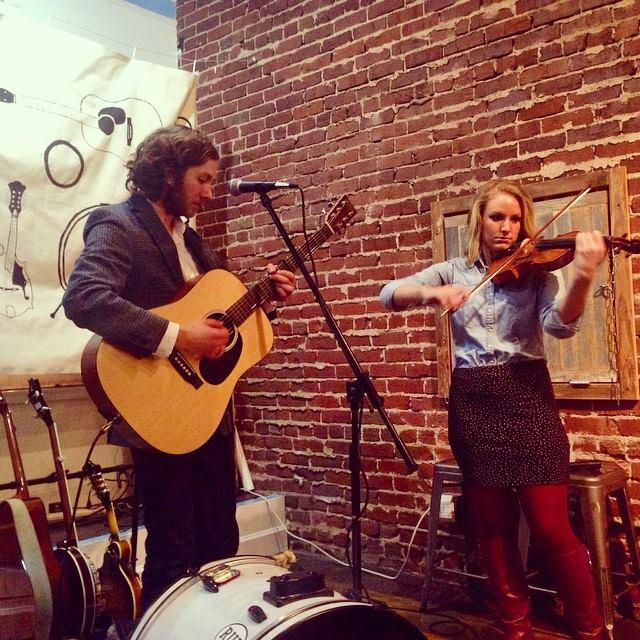 Read about the Willow Tree Art Vendetta kicking off the New Year and much more. 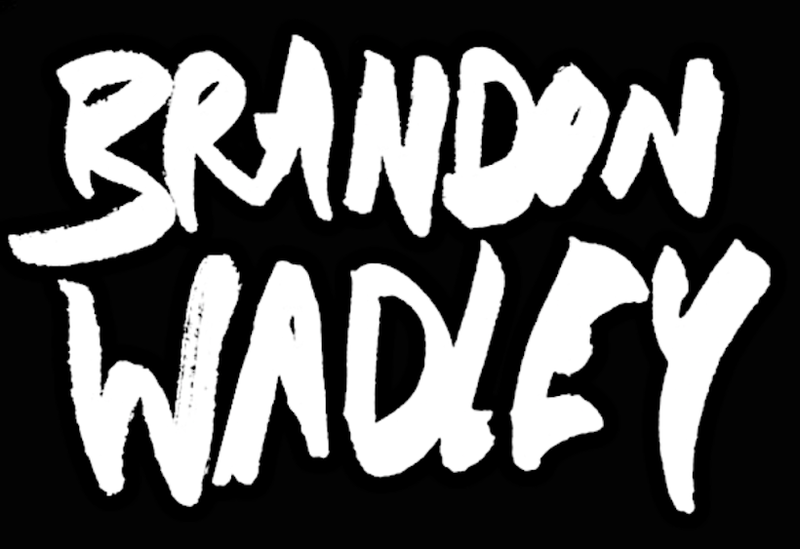 All past newsletters can be found atwww.brandonwadley.com. First, if you are in or around the Indianapolis area, please consider making your way out on the first weekend of March to Foundry Provisions downtown for a show during the first Friday art walk. There will also be a house show or two Saturday and Sunday in town. For more information, find the FB event here oremail me for more details. Friday, March 20 on ETSU campus at 7PM. Everyone is welcome and it's a free show. Event here. Hard to believe this was a month ago. We had a beautiful time in Cleveland, TN, where we visited my alma mater Lee University and played a show at a downtown coffee place called Bonlife. It's nestled in a row of restaurants and is such a gem inside of this small town. In case you weren't there, it was beautiful. My friend Hannah Daulton, who played violin on the recordings of "Run" and "Burn it All" from "The Listening Room" joined me on those songs and it was a reunion for the books. There were SO many people who joined us in that tiny coffee shop that night. Close to 60 if I had to guess. Cleveland holds nearly every memory of the beginning of my college career and many of the songs I have written were composed in that city, mostly in a dorm room on Lee campus. It was a beautiful sight and sound to behold how the songs have changed and changed me over the years, encouraging me to look back on those years with fondness and joy. I admit, most of the places I was in for writing those songs were hard ones, but I wouldn't change it for anything. It was beautiful to be there with old and new friends. Even members of The Mailboxes, Sinai Vessel, and Jessica Lamb were in attendance. Truly honored to share that night with you, Cleveland. Huge thanks to Ben and Caley Johns for housing us and providing us with superb company, prayers, and love. There will hopefully be more shows to come in the future in Cleveland. 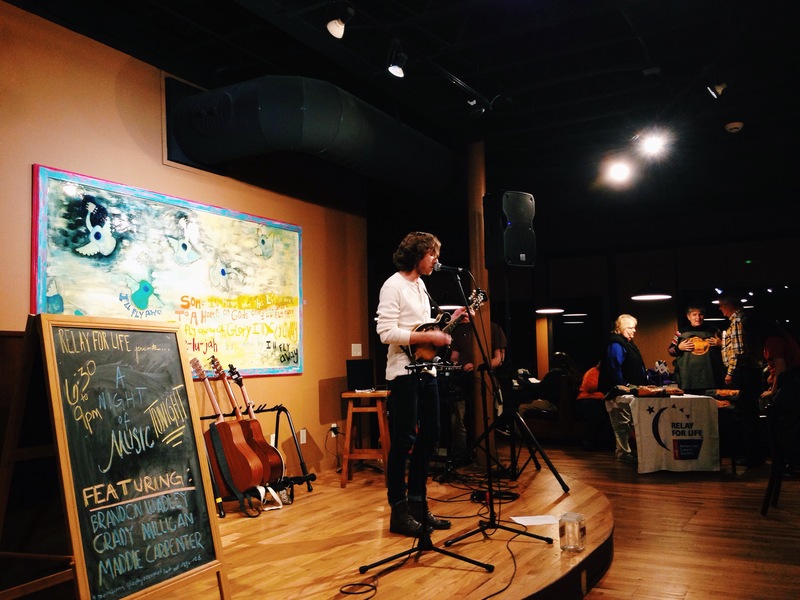 A week later, Katie and I made our way to Maryville to participate in headlining the Relay For Life Benefit Concert. Something like $600 were raised to support the fight against cancer in research and medicine. Honored to be a part of it. Joining us wereGrady Milligan, Maddie Carpenter, and Bryan Wigington. I don't think I've ever seen that many people at Vienna before. If you've never been there, I highly recommend their Christmas and House blends. This was my first show out of state and it was a great one. Driving through mysteriously windy backroads in Wilmore, we found ourselves in the middle of a cozy and set apart campus of Asbury, my parents' alma mater in 1990. Upon our arrival, the students in charge of the event turned the student center "The Stuce" into a concert venue, with stage lights, a stage, sound system, seating, a barrel of Ale 81s, and a whole lot of love. The night began with a new campus acapella group called GraceNotes performing a couple songs from Les Mis and a proper introduction to begin the set. I was truly honored and felt like a celebrity. So, so sweet. I could barely handle it. The set had its technical issues, but was overall powerful, as the songs reached a new level of depth that I don't think has ever been achieved before. Unfortunately, in our attempt to record the show, I found out later that the recording simply didn't exist, unless it's hiding deeper in the depths of my interface that I know how to search for. I guess it's one for the experience of those who attended. I will definitely make an effort to return within in the next year. Oh, and I was interviewed afterwards for the school paper and you can find that article here. It's also on my website's homepage. We spent the remainder of the weekend in Lexington with Katie's family and it was ultimately a very beautiful and encouraging weekend. Just this weekend last, we ventured out to Cookeville, TN, where Katie grew up and her parents live, to play two shows: one at a coffee shop everyone in "the city that always sleeps" knows as Poet's. (Best iced americano and dirty chai latte I've ever had.) Opening that night was a guy named Kevin and his friend Donny from St. Louis, with some old time and original tunes. Kevin's voice was a mix between Man Man andTallest Man on Earth and was excellent. I even joined them in playing banjo on "Wayfaring Stranger." There weren't a lot of people in attendance, mostly because of the #snowpocalypse2015, but those who did attend were attentive, receptive, and sweet. This weekend was also joined by our friend and faithful drummer, Chris "Cool Cat" Hickman, who jumped in with Kevin and Donny seamlessly on a few songs. So versatile and seriously one of the best in my book. He even joined me on guitar in "Snow" and "Dirt" Saturday night. Had no idea he could play until that afternoon. Duo shows in the future? 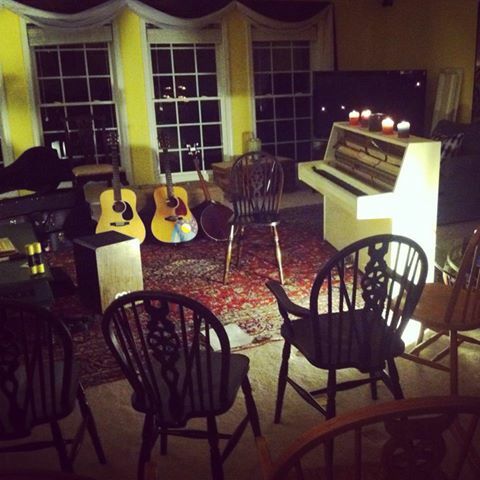 Saturday night, Katie's mom hosted us in their home for a house concert in which around 10 of our Cookeville friends braved the weather and remaining ice to share in an evening of music. I spent nearly the entire day tuning the family piano to play that night, and it was so worth it. The songs resonated tremendously the room, chiefly "Burn it All," "My Oldest Friend," "Civil War Brothers," and "Stronger Than We'll Ever Hold to You." It was a beautiful night. 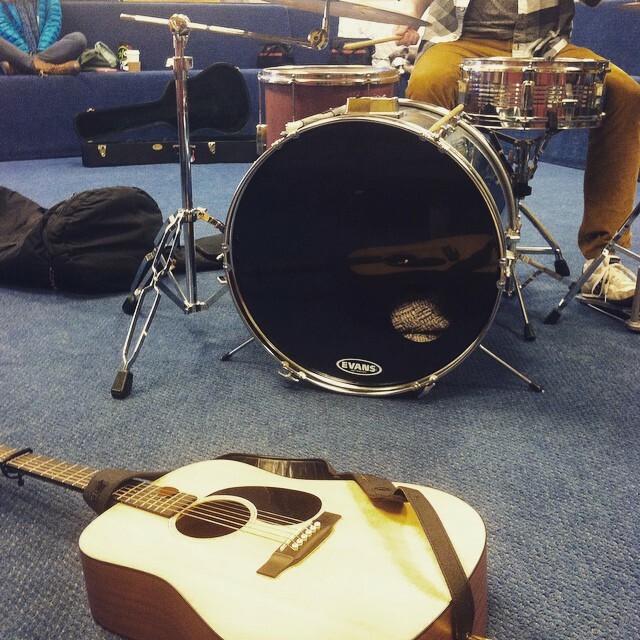 The next morning, I was feeling pretty exhausted and a little discouraged about the music, where it is going, and being lost in my head about the purpose of what I'm doing with it in the first place. An old friend texted me that morning telling how he had been in a funk and had been inspired and uplifted by "Get Outside Yourself," which happened to show up on Spotify. Blessed to be reminded that the music reaches people more than I realize. That's what makes it worth it if you ask me. Spreading the love. So as you may remember, I've been working on collaborating with an engineer to produce "The Listening Room" and hopefully thereafter "In the Morning" to its fullest potential with some remastering, for re-release. I've nearly reached my goal in playing shows and tuning pianos to raise money to remaster the the albums for re-release, but in a turn of events I had to begin again with another engineer. Hopefully that process will be underway soon, to be released this Spring. Stay posted! Katie and I can always use your prayers for our new marriage, figuring out where we should be living, a working, and pursuing as far as the music. You are in our prayers as well, dear friends. Stay warm! If it weren’t for the fliers hung around campus, I probably wouldn’t have recognized him. 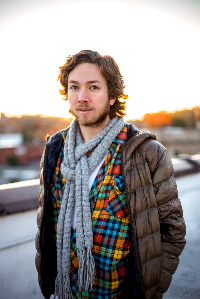 Prior to his concert in the Stuce last Friday, indie-folk artist Brandon Wadley wasn’t off preparing for the show or waiting to make a grand entrance. Instead, he was meandering around the Stuce, saying hello to people and attentively listening as GraceNotes—the campus’ new acapella group—rehearsed and performed a couple of songs. Quiet and friendly, Wadley could have easily been mistaken for just another student. 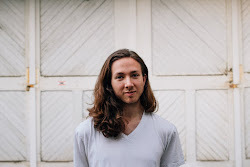 Wadley is a senior at Eastern Tennessee State, where he is majoring in Art and Design and minoring in Bluegrass music. “One of my favorite things to do is come to colleges and do shows for people who are in the same positions I was in,” said Wadley. As soon as he got onstage, he became a singer-songwriter and one-man-band. Wadley switched instruments multiple times during the show, pairing his honest, contemplative lyrics with a mandolin, banjo or guitar, occasionally adding a harmonica or kick drum to the mix. “It’d be nice to have band mates to talk while I switch instruments…every…single…song,” he said jokingly to the audience while he swapped a guitar for his mandolin. 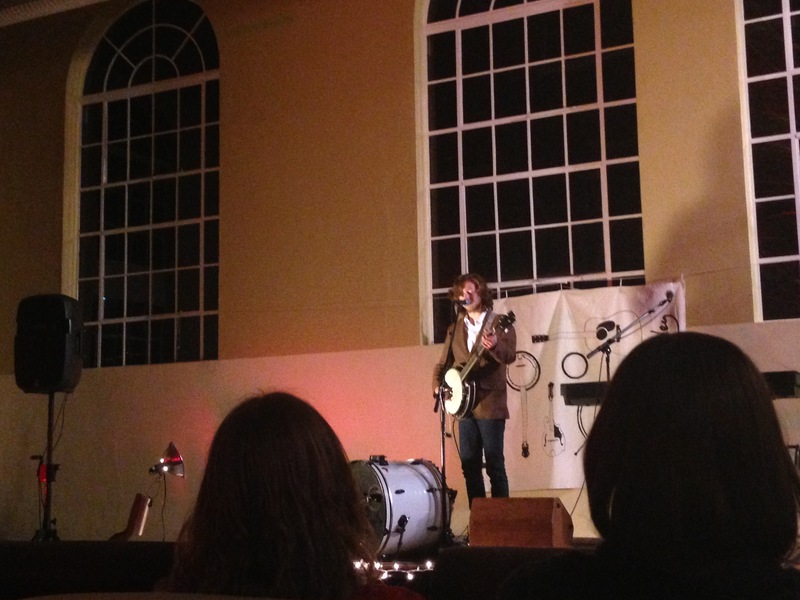 Last night Asbury University hosted Katie and I for a concert in their student center and it was so good. It was my first out of state show, so it required some travel, but that made it even sweeter to arrive and set up. The students helped set up lights, sound, seating, the stage, and even manned the merch table during the show. Super supportive. We recorded audio of the show and if it turns out, I'll post it soon! Some of the songs reached a really nice point of centeredness and clarity that hadn't been achieved before and there were some really tender moments that are hard to duplicate. There is definitely a prospect of having another show there in the future (maybe in a year), so if you're near that area again sometime, I'd love to see you there. Afterwards, we went to Lexington to spend time with Katie's family and enjoy the beautiful city. Seriously so much good going on there it's crazy. Possibility of a show there this spring at Al's Bar downtown. In two weeks, we're headed to Cookeville, TN (Katie's hometown) with Chris our drummer to play at Poet's Coffee on the 20th and a house show at the Landry's on the 21st. I hope to see you there!